Wonders of nature and marvels made by people stretch all across Canada. From a preserved Haida village in B.C. through Alberta's rich dinosaur fossil grounds to old Quebec City and a Viking settlement in Newfoundland, 15 remarkable Canadian places have been deemed World Heritage sites by the United Nations. CBC Digital Archives takes a tour of some of these internationally recognized national treasures. The fossils at Joggins are attracting more tourists in 2008, thanks to a World Heritage designation. A group of teens from Fort Simpson, N.W.T., goes on a whitewater rafting expedition in Nahanni National Park in 1996. Colonial Lunenburg is feted by the United Nations and praised by visitors in 1996. Paul Compton gives up fishing and starts a Viking tour ship business at L'Anse Aux Meadows, N.L. in 1995. An Alberta heritage site depicts a remarkable bison-hunting technique of the region's aboriginal people. 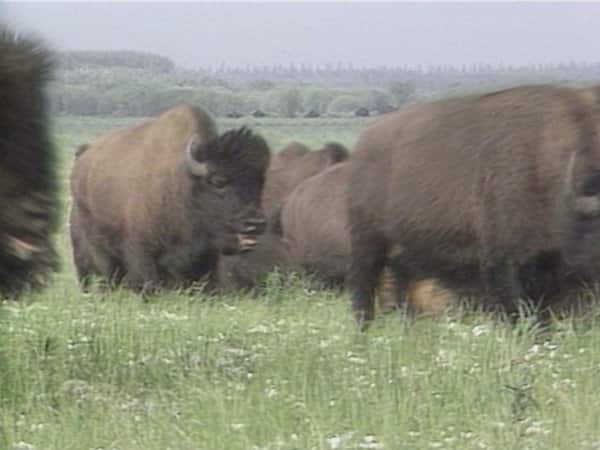 Controversy follows a government plan to kill thousands of diseased bison in Wood Buffalo National Park in 1990. Banff business owners are divided over the benefits of Japanese visitors in 1988. Paleontologists converge on one of the world's primary fossil deposit zones in 1986. Selma Barkham, a determined self-taught researcher, makes a remarkable discovery about Canada's history by studying dusty books in Spain. The Canadian government seizes control of Banff's hot springs and establishes a national park reserve in 1885. The skull of the first animal to set foot on land is found at Miguasha National Park. Despite being designated a national park reserve, Kluane's future is threatened by the mining industry in 1975. Historic Haida totem poles are salvaged from a deserted island village in B.C. in 1957.